I’m a podcast listener and have been since the technology came into being. I subscribe to thirteen podcasts (see below) and am listening to something almost every free moment, including when I mow the lawn. Yes, that means that I wear headphones over top of my ear buds and yes it looks ridiculous. For a while, I’ve meant to write of my love for American Public Media‘s daily podcast called “The Writer’s Almanac“. Garrison Keillor spends five minutes talking about some event for that particular day that has a literary linkage. More on that later. 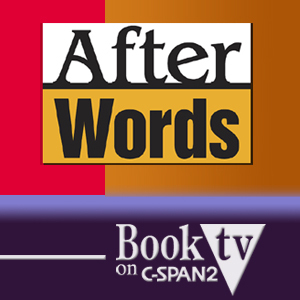 Earlier today, I was listening to the After Words podcast from C-SPAN. The podcast consists of a rebroadcast of the television show in which an author of a new work of non-fiction is interviewed by an expert on the book’s topic. It usually makes for a more interesting interview than if it were conducted by a journalist with no prior knowledge of the topic. The podcast in question featured Eduardo Porter, speaking on his book, “The Price of Everything–Solving the Mystery of Why We Pay What We Do”. I’ve not read the book but as I understand it, it is in the field of “rational economics” a la “Freakonomics”. This has been, until today, a topic of mild interest to me. I’m sure the next five minutes of what Mr. Porter had to say were interesting, but I can tell you that I didn’t hear it. I was stuck on the concept that someone thought it would advance their economic research to talk to lap dancers about their menstruation cycles and then correlate it to their tips. It’s a shame that Mr. Porter didn’t bring a graph with him. Perhaps there’s one in the book. It was when I came back out of my “economics of lap dancing tips” fog that I realized that it was time to reassess “rational economics” as a field of study and to be somewhat more selective in my podcast choices. But I will admit that I did learn something new. I can’t wait to spring this on someone at a cocktail party.